Physicist Stephen Hawking introduces his recent series on public television, Genius, with the claim that he will show how ordinary people, just by looking closely, can make sense of ultimate questions. I applaud the effort. Much in the series provides useful information. And I have immense respect for Hawking’s contributions to physics. The series stops short in a couple of ways. First, it is in fact less about how ordinary people can address ultimate questions than about how contemporary physics answers such questions. His participants are lead by the hand to reach predetermined conclusions—a common failing with science education. And there is a second, more fundamental and consequential shortcoming. As often as not, his demonstrations and explanations fail to prove what they claim to illustrate. Frequently, what Hawking’s assertions most make clear is that physics to this point, even at its best, is unable to help us with really ultimate concerns. This second shortcoming is what makes the series pertinent to reflections on this blog. In my recent book Quick and Dirty Answer to the Biggest of Questions: Creative Systems Theory Explains What It is All About (Really), I propose that the reason many “eternal quandaries” have seemed beyond us is that culturally mature perspective is needed to address them in ultimately useful ways. Some examples of questions the book addresses include: How do we reconcile the experience of free will with what logically seem a deterministic world? Are the beliefs of science and religion just different, or do they represent parts of a larger picture? And, how do we best understand the human species’ place in the larger scheme of things? There is considerable overlap between the concerns I address in the book and topics that Hawking takes on. This post reflects on the topics of Hawking’s first three shows. I will give particular attention to the topic of the second program: the dilemma of “free will.” We can miss how deeply it challenges usual understanding. You would not be reading this post, and I would not have written it, if we did not believe in free will in some form. Yet basic cause and effect, at least as classical science conceives of it, describes a deterministic world. Free will and determinism each seem self-evident. But as we conventionally think of them, they present mutually exclusive realities. Later, I will turn briefly to the topic of the third program: Why are we here? This segment purports to answer the “how do we best understand the human species’ place in the larger scheme of things” question. 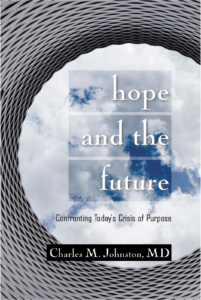 I will use this third topic to illustrate how Creative Systems Theory’s formulations provide an overarching approach that lets us begin to address even the most encompassing of “eternal quandaries.” I will conclude by describing how what I have proposed helps us bring really big-picture perspective to understanding humanity’s challenge in our time. Throughout these observations, I will expend on a key recognition that ties them together. When Hawking’s explanations stop short, they tend to do so for the same basic reason. Appreciating what is missing offers valuable insight into how contemporary understanding, even at its best, often stops short. It also sheds valuable light on what a needed next chapter in human understanding asks of us and makes possible. Hawking opens the first program in the series with a more particular provocative question: Is time travel possible? He uses it present a general-audience introduction to Einstein’s radical reformulation of time. He describes how Einstein’s recognition that time is a dimension fundamentally challenged Newton’s view that time is separate and distinct from the three dimensions of space. With Einstein’s reformulation, time travel becomes possible, at least in the limited sense that traveling through space (and gravitational fields) can alter the passage of time. Culturally mature perspective finds no problem with Hawking’s presentation in this first segment (other than my minor critique regarding pedagogy). I’ve often cited relativity as one of the first examples of culturally mature conception. It is worth noting that culturally mature perspective usefully add to the first program’s reflections—and in important ways. Particularly with the addition of Creative Systems Theory’s more detailed formulations, culturally mature perspective helps put Hawking’s observations in historical context. Creative Systems Theory describes how the truths of each stage in the evolution of culture reflect a different way of thinking about time (see The Relativity of Time In Time). If the theory had been around a thousand years ago, it would have successfully predicted something like both Newton’s separate-and-distinct view of time and Einstein’s more relativistic formulations. But, of course, the theory couldn’t have been around a thousand years ago—its formulations are dependent on current changes in how we understand. And predicting a general relationship to time is very different from the accomplishments of Newton and Einstein. Each proposed detailed, overarching formulations in which a different relationship to time was just one aspect. With the topic of the second program, culturally mature perspective presents a more fundamental challenge. Here Hawking turns to the free will/determinism debate. Whether our experience of free will can be reconciled with science’s picture of a deterministic world represents one of modern understanding’s great quandaries. While Hawking claims to successfully address it, I found his explanation unsatisfying. At best it was unnecessarily complicated. More, I am quite sure it was simply wrong. Of particular significance for these reflections, we find parallels in the specific way it stopped short in how Hawking addresses other quandaries—an observation I will get back to shortly. Hawking introduces his examination of the free will/determinism dilemma with the familiar tale of Newton’s apple. He notes that Newton’s laws of motion give us a deterministic—mechanistic cause and effect—universe. He cites Laplace’s often-quoted claim that if we knew the position and velocity of every object in the universe, we could predict the whole of future events. He then correctly observes that if Newton’s picture is right and complete, free will is necessarily an illusion. Hawking then describes an experiment from cognitive science that he claims demonstrates this illusion at work. In the experiment, subjects are first wired up to an EEG machine (which measures brain waves). Then a large red button is placed before each subject. The subjects are instructed to hit the button whenever they choose. The results contradict what we might expect. The EEG readings demonstrate that we see evidence of “choice” (in the form of observable brain wave activity) well before the subjects hit the button (consciously make the choice). I included the word “claims” in the previous paragraph because of how Hawking interprets the results of this experiment. Hawking proposes that the body is “a complex machine” that works according to the deterministic laws of a Newtonian world. From this, he concludes that because the subject’s actions were seen first in their bodies (in the EEG recordings),what they experienced as “choice” was in fact predetermined and thus not free will at all. Later I will describe how his conclusions are based on limited—and increasingly outdated—understandings of both the body and the nature of conscious awareness. Having boxed himself into a corner if he is going to do anything more than side with determinism, Hawking then gives himself some wiggle room. It is good that he does. It is hard to imagine Hawking making the effort to develop this series—and certainly to live the courageous and creative life that he has—if he did not believe at some level that his choices could alter outcomes. Hawking describes how modern advances add an important further layer of complexity to classical physics’ deterministic picture. Quantum mechanics—which functions at the level of the very small—requires that we include uncertainty in our understanding of the physical universe. (Those who have taken a physics class will remember Schrodinger’s cat.) Hawking proposes that we best think of existence as having two layers that work according to wholly different sets of rules: a subatomic world ordered by “random” processes, and our more everyday world that follows the deterministic rules of simple cause and effect. Because this way of thinking introduces uncertainty into the equation, it at least opens the door to the possibility that we might bridge the before irreconcilable assumptions of free will and determinism. But this two-world explanation only opens the door a crack. And Hawking’s next demonstration illustrates that for him it does so in only a trivial way. The demonstration uses a two-part apparatus to illustrate how Hawking sees the relationship between these two kinds of determination. The lower part of the apparatus contains a radioactive element—a substance that decays according to the indeterminate mechanisms of quantum mechanics. On top is a catapult that launches a projectile on a pre-established (Newtonian) path once its mechanism is triggered. Subatomic particles released from the lower compartment do the triggering. Hawking proposes that this two-step mechanism accurately describes how things in the real world work. Quantum mechanical randomness gets things started. After this, events follow the laws of classical determinism. The demonstration is fine to a point, but it stops short if our interest is free will. Two recognitions are key to understanding just how. First, as long as we remain in a mechanistic reality, the apparent paradox of free will and determinism is really not addressed. And second, “random” processes, like deterministic process, are fully consistent with a mechanistic worldview. Certainly they tell us nothing about will in any directed sense. Thus while Hawking’s apparatus may defy prediction, it again tells us little that helps us with the free will/determinism quandary. Hawking’s description leaves us with an “explanation” that while superficially accurate, explains very little. Again we find an “explanation” that even if it holds up, fails to address the free will versus determinism paradox in any convincing way. Later I will describe how, while the notion of an infinite number of universes may prove accurate, there are very good reasons to question it. I will also describe how even if it does, it fails as explanation. For now it is enough to note that drawing on the multiverse hypothesis makes for an inordinately complicated way to answer the free will/determinism question. Culturally mature perspective suggests we can address it in ways that are straightforward—even simple. Culturally mature perspective concurs that there is no “ghost” (a reference to some separate subjective counterpart to the body’s objective workings). But in agreeing with this assertion, it is not taking sides in the objective versus subjective debate (nor the related science versus religion debate). Similarly, it does not take sides in the free will versus determinism debate. Rather it argues for the importance of thinking in ways that are more encompassing—more systemic. I’ve suggested that Hawking’s interpretation of his EEG demonstration reflects limited understandings of both how the body functions and the nature of conscious awareness. The questions raised by a related “thought experiment” help illustrate. Imagine a gifted running back in football making his way down the field, rapidly cutting this way and that. We are confronted with the simple fact that the running back’s cuts take place more quickly, and in ways that are more nuanced, than could ever happen by consciously choosing them one at a time. The conscious aspects of awareness simply aren’t built to function that rapidly. Does this mean, then, that the running back is not choosing? And, more specifically, does it mean that because his body moves before he “chooses” that what we witness is nothing more than mechanical reflex following the rules of a deterministic world? Even if we include Hawking’s addition of quantum mechanical “randomness,” we are left with a less than convincing picture. Are the outcomes of games then predetermined—or, alternatively, perhaps random. Either way, we are left wondering why we would attend a football game—and perhaps feeling a bit duped. I think in fact it is the explanation that is ultimately silly. Clearly in the running back’s movements we witness something that is not just vital, but profoundly so. Culturally mature perspective provides a more conceptually demanding—but also ultimately simpler—interpretation. It starts with the recognition that more sophisticated ways of thinking about the body and about conscious awareness are not just possible, but predicted. 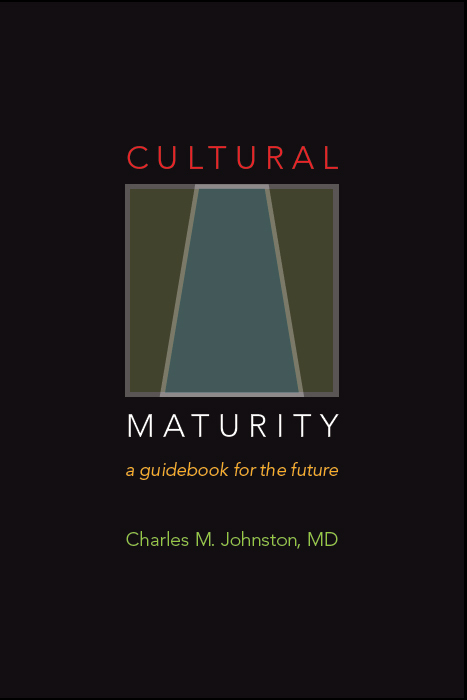 Cultural Maturity’s changes involve not just changes in what we think, but fundamental changes in how we think—specific cognitive changes(see Cultural Maturity’s Cognitive Reordering). Creative Systems Theory calls the result Integrative Meta-perspective.Integrative Meta-perspective lets us both more fully step back from, and more deeply engage, the whole of our cognitive complexity . We become able to more consciously engage all of intelligence’s multiple aspects and do so in more integrated ways (see Multiple Intelligences). Culturally mature perspective also alters how we think about conscious awareness. Traditionally we have thought of conscious awareness as who we are. It was captain of the cellular ship. This kind of identification reached on extreme with the assumptions of Modern Age thought. Objective became wholly separate from subjective and gradually assumed the mantel of final truth. With this, individual identity became associated almost wholly with conscious awareness. We are conscious awareness; we have a body. Integrative Meta-perspective makes clear that thinking of free will as free and willful in the unfettered sense implied by our Modern Age picture leaves us short. Indeed, in the end, this now outdated way of thinking translates into but another kind of determinism. It is just that with this kind of determinism it is we who get to do the determining. Cultural Maturity’s cognitive reordering presents a more challenging, but also more complete picture. Conscious awareness comes to have a new, at once more humble, and ultimately profound, role. Rather than determining our actions, it serves as a facilitator and catalyst for intelligence’s richly dynamic workings. Culturally mature perspective’s more sophisticated vantage alerts us to the fact that the way we have viewed the free will versus determinism debate has been a product of a developmentally understandable, but systemically incomplete view of the world. The debate has been based on a falsely framed dichotomy, a juxtaposing of alternative determinisms neither of which ultimately holds up. Each determinism has served in similar ways to protect us—as polar explanations of every sort do—from life’s ultimately rich, but also easily overwhelming uncertainties and complexities. And as with other polarized explanations, today each equally leaves us short. While a basic understanding of Integrative Meta-perspective takes us a long way toward reconciling the apparent contradiction of free will and determinism, Creative Systems Theory’s more specific formulations take needed insights important steps further. They help us more deeply grasp both why we have seen things as we have and how new ways of understanding may be possible. They also let us think in ways that are more detailed and nuanced. Creative Systems Theory proposes that what makes us particular, if not unique, as creatures is the audacity of our toolmaking, meaning-making—we could say simply “creative”—capacities. The theory goes on to describe how human intelligence is structured specifically to support and drive these capacities. Conceptually, Creative Systems Theory replaces Newton’s notion that the universe is a “great machine” with the idea that reality—certainly the reality of human experience—organizes creatively (see Creative Systems Theory — Long Form). This more explicitly creative picture provides big-picture perspective for rethinking the free will versus determinism debate. As with all culturally mature interpretations, the implied results are at once more humble, and more profound. As far as free will, conscious awareness remains just as amazing—in its creative possibilities in many ways more so—but it is also no longer free and willful in the same unrestrained sense its has been our preference to assume. Certainly freedom in a creative reality does not translate into being able to do whatever we might choose. In a creatively engaged life, both limits and uncertainty play necessary roles. Choice is also always contingent, at least in relationship to its creative time and place. Our freedoms are always exercised within systemic contexts. What becomes free will’s function in this creative picture? At the same time free will becomes not so unfettered, it becomes even more radically significant. Free will serves as a pivotal ingredient—a catalyst and a spark—in the creative mechanisms that ultimately make us who we are. We see related changes on the determinism side of the equation. Traditional determinisms of all sorts stop being cut and dried in the ways we have thought them to be. Causal relationships tend to involve a multiplicity of systemically related factors, frequently more factors than we can begin to keep track of. And more often than not we encounter factors that function beyond our ability to fully anticipate or control. Of particular importance, one of those factors that always intercedes is ourselves. We can’t escape—as physics has well demonstrated—that the state of the observer affects the act of observing. Thus limits and uncertainty, again, play necessary roles in what we witness. Viewed through a creative lens, free will becomes not as free, nor as much ours to direct, as those of an individualistic bent might prefer. And neither is determination as determined as advocates of either a more scientific determinism or the determinisms of religious faith might wish (see Do Science and Religion need to be at odds?). This more complex picture makes outcomes less readily determined, but the particular way that it does makes that picture ultimately more significant. The complexity we encounter is the generative sort that make existence vital, and life an option. Such complexity is ordered, deeply, but this is not the order of one thing guaranteeing another. At its best, it is the order of creative possibility. In human life, this creative picture takes particularly explicit expression. Hawking’s third program in the series turns to even more encompassing questions: Why are we here? And what, as human beings, is our place in existence’s larger picture? He approaches these questions by briefly summarizing modern science’s “creation story,” its explanation for “how-it-all-came-to-be.” Again, much of the content was on target and useful. And again, too, more often than not, Hawking’s explanations did not really answer the questions that he had posed. More accurately, Hawking has documented an important part of the story of how we got here (at least one solid version). But while this is an important accomplishment, “why we are here” represents a wholly different sort of question. A useful answer must help us appreciate not just what has happened, but why we see what we do. Hawking then brings life into the equation, skipping a bit abruptly to the next major chapter in existence’s “how it all came to be” narrative. He describes Darwinian’s great contribution and also the advances of the last century that began to elucidate evolution’s genetic mechanisms. In addition, he notes experiments that demonstrate how molecules essential to life—key amino acids—can emerge spontaneously from a solution of commonly occurring molecules when we add an electric spark. Again, while these observations add richly to science’s “creation story,” they stop short of providing what Hawking claims. That abrupt skip left the larger part of the question of how existence’s next chapter came about unanswered. In particular, Hawking’s observations stop short of addressing the implied deeper “what is life” question. For his explanation to fully succeed, it must address just what makes life different from that which came before. In my book Quick and Dirty Answers to the Biggest of Questions, I propose that existence confronts us with three really big-picture quandaries that neither science nor religion at least as traditionally conceived can effectively answer. These are the “creative leap” questions—the questions that demarcate different kinds of existence. How do we best understand inanimate creation. What is life? And what is it that makes human life particular if not unique. Hawking’s third program took a shot at the first two. His attempt to address free will in the second program at least approached the second. Earlier I suggested that when Hawking’s different explanations stop short, they tend to do so for the same basic reason. I can now be more specific. Hawking attempts to address these questions without straying from the mechanistic assumptions of classical science. Creative Systems Theory proposes that this is really not possible. Indeed, it argues that, in the end, not just creation’s leaps, but its everyday progressions, require a more generative kind of explanation to fully make sense. Even Hawking turning to the seemingly esoteric (certainly not mechanistic-appearing) notion that there are an infinite number of parallel universes can be seen to reflect this limitation. When the multiverse notion first came onto the scene, I found I myself suspicious. While humble to the fact that I am not a physicist, I couldn’t help but be struck by how much its conclusions resembled the different-strokes-for-different-folks beliefs of postmodern social theory. I’ve written extensively about how postmodern thought’s no-one-view-is-inherently-better-than-another assumptions get in the way of the kind of understanding the future requires (see What Cultural Maturity is Not #2: Postmodern Pseudo-significance). There is important further support for these doubts. One of the reasons that the notion of multiple universes has achieved popularity in physics circles is that while odd and convoluted, it does not violate a mechanistic worldview. (In contrast, quantum mechanics does—a fact that many physicists find troublesome.) Previously, I questioned the multiverse explanation based on the fact it seems unnecessarily complicated. We tend to find overly complicated explanations when people try to force-fit phenomena into outdated belief systems. I can’t help but think of drawings from the Middle Ages—when people were adamant about believing that the sun revolved around the earth—that depict the planets having fancifully convoluted orbits. It is quite possible that I will eventually conclude that my doubts were unfounded. But it is equally possible that people wiil recognize that this way of thinking reflects the application of outmoded, classical assumptions to questions that demand more sophisticated understanding. (Creative Systems Theory calls what happens with this kind of “overshooting the mark” Transitional Absurdity—see How the Ludicrous Can Be Consistent With Hope). “A creative frame invites conjecture with regard to an even more encompassing eternal quandary than those we have looked at so far: our place in the larger scheme of things. We can put this question in science-versus-religion terms. From a scientific viewpoint, we can appropriately ask—as many great thinkers have asked—“Are we but a speck in an essentially purposeless universe, an odd momentary impulse of no real ultimate significance?” Or do we better think of ourselves as God’s special children, as most religions through time have somehow seen us? A creative perspective offers a third option—neither quite so random nor quite so grand, but arguably more intriguing. Reframed, the question becomes, What is our place and significance in creation?—as creation becomes what “the scheme of things” is ultimately about. A creative interpretation notes that all creation is not the same, and it proposes that the answer to our question lies in just how this is so. Interpretations of times past have either lumped all of creation together—a picture that gives us humans no ultimate significance—or placed us wholly separate and distinct. A creative interpretation offers that it may all be more like Neapolitan ice cream. We can usefully think of existence’s creative story as having three primary layers: there is inanimate creation; there is life; and there is this odd addition, conscious life (including ourselves and to lesser degrees other higher life forms). Each layer is the same stuff (here creation instead of ice cream), while at the same time, each layer is fundamentally different. What distinguishes each layer is a “creative multiplier” (or several creative multipliers working together) that radically increases the rate at which creative reorganization can take place. In the case of life, this creative multiplier is natural selection and the learning/adapting capacities that come with life’s workings. In the case of ourselves, the multiplier is the option of fresh creation happening with every new “aha” that arises with conscious awareness and our unique toolmaking, idea-making, meaning-making prowess. In a way, this interpretation makes our human achievement even more remarkable. But it also makes it more tenuous, more explicitly “experimental.” It is quite possible that exactly that which makes us special—our great creative prowess—will be our undoing. Our time on the planet has been extremely short, and with growing frequency, modern invention, and human choice more generally, has dangerously two-edged potential consequences.